The Surfnetkids Widgets are free to add to your website or blog. DAILY FACTOID: Imagine a week of Christopher Columbus facts to celebrate Columbus Day, or a week of Declaration of Independence tidbits for the 4th of July! To place the "Did you Know?" Daily Factoid on your Web page, copy-and-paste the following code onto your page. VINCENT VAN GOGH -- and Paul Gauguin lived and painted together for several months in 1888 in a yellow house in Arles, France. 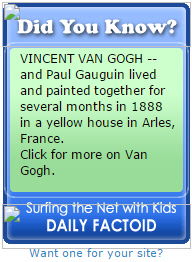 Click for more on Van Gogh. Want one for your site? DAILY CHUCKLE: It's a new laugh every day with "Laugh Out Loud" Daily Chuckle. Click on the joke box to be transported to more jokes. To place the "Laugh Out Loud" Daily Chuckle on your Web page, copy-and-paste the following code onto your page. Why can't your nose be twelve inches long? Because then it would be a foot! From Ali, age 15, Florida. Click for more math jokes. 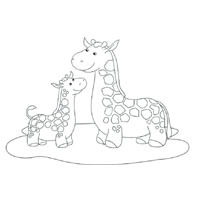 Coloring Page of the Day: It's a new printable coloring page every day from FreeKidsColoring.com. Click on the thumbnail for seasonal printable coloring pictures. To place "Coloring Page of the Day" on your Web page, copy-and-paste the following code onto your page. DAILY EDUCATIONAL QUOTATIONS: Light an educational fire with a daily selection of inspiration quotations. To place "Light an Educational Fire" Daily Quotation on your Web page, copy-and-paste the following code onto your page. Click here for more experience quotes. SURFING THE CALENDAR: This popular monthly feature lists major holidays, anniversaries, and historical events and links to my educational site reviews on each topic. To place Surfing the Calendar on your Web page, simply cut-and-paste the following code onto your page. SEARCH BOX: Give your visitors the best of the Net: the ability to search the online archives of Surfing the Net with Kids. To place the Search Box on your Web page, simply cut-and-paste the following code onto your page. Microsoft Excel Shortcut Keys This widget displays Microsoft Excel Shortcut Keys Listing & Shortcuts of Function Keys for working in MS excel easily promptly. This widget also provides users to switch to three colors (Blue, Black & Blue) in just one click. This Widget displays Bhagavad Gita's Quotes for the Day, What Lord Krishna said to Arjuna in Giia. This widget made easy calculations viz. 1. Instantly all results in one screen of sum, difference, multiplications, division & percentage of your inputs . 2. VAT Calculator. 3 Calculates loan EMI, Interest and total payments. 4. Debt Investment calculator - calculates investment & ROI by increase of additional EMI of your loan/debt. 5. 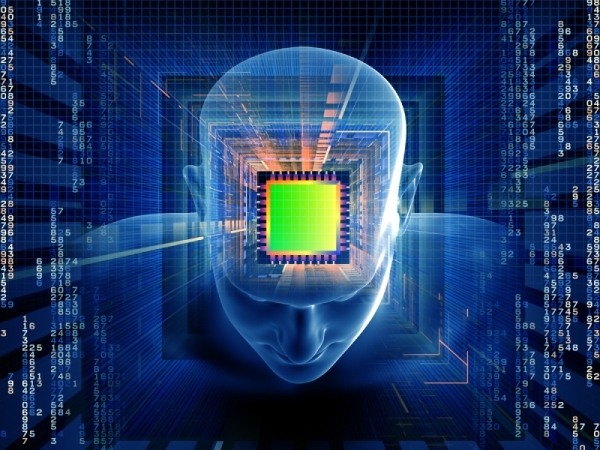 Smart calculator for daily needs calculating. 6. Get trigonometry values of your input. 7. In one screen use Length & Weight Convertor. 8. Calculate instantly square root & power of your inputs. A drop down menu of 18 great eminem video's. An Amazing assortment of ready to go music players in HTML for blogs and websites.